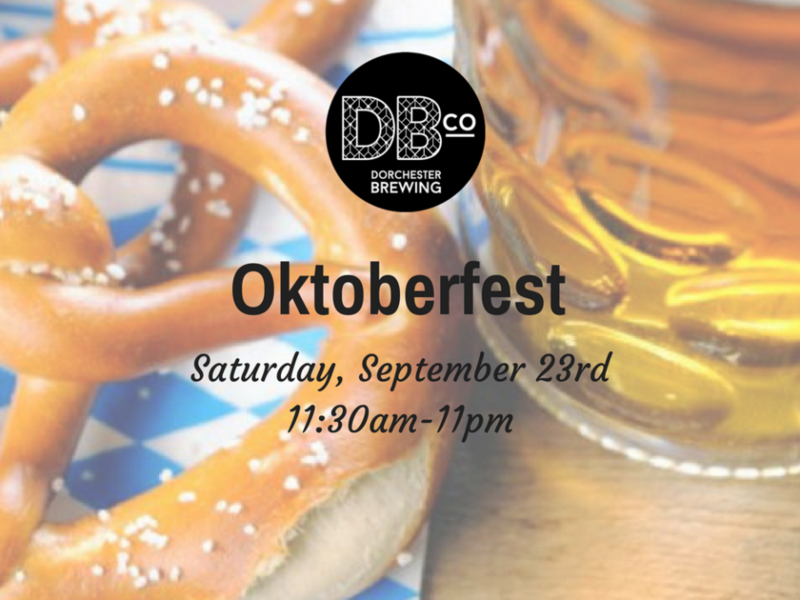 Join Dorchester Brewing Company to celebrate Oktoberfest for a day of traditional German food, live music and a very special beer release filled in traditional German liter steins. This festive celebration will make you feel like you’re in Munich! We’ve once again doubled our capacity, so that means we’re opening up the back part of the brewery and more outdoor space to fill everyone in who wants to enjoy fresh beer as the Germans do (without traveling so far). The Mad Bavarian Brass Band is coming back again this year with their crazy crew to play from 2-5pm. To fill your bellies, Revelry Food Truck will be putting their German spin to their N’Awlins food (Think brat po-boy) and will be serving up their grub from 1-8pm. 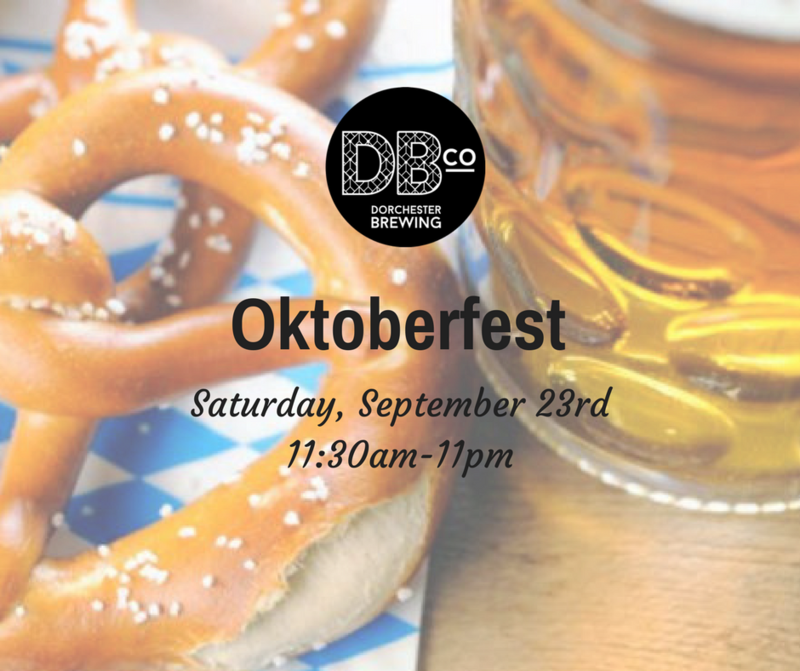 And, to top things off, DJ’s European Market & Bakery is cooking up some beer-filled pretzels and donuts to add to the mix! Grab your lederhosen and come on down for lots of fun and a great time!